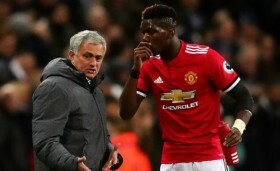 France international Paul Pogba has reportedly shelved plans to pursue a winter exit from Manchester United after manager Jose Mourinho was dismissed from the head coach position. The midfielder had experienced a difficult relationship with the Portuguese tactician over the past 12 months which in some way cost him a regular starting role with the Red Devils. However, with Mourinho now no longer at the helm, the Frenchman is likely to witness an enhancement in gametime and The Sun reports that this will urge the midfielder to stay put for the season at the least. Pogba has been regularly linked with Juventus over the past few weeks with suggestions that the Bianconeri could be prepared to pay a fee of around £73m to re-acquire his signature. But that seems unlikely to happen at the present moment with the change in management expected to witness the return of Pogba to the first XI for the remainder of the ongoing campaign.